RCMP Alberta - On May 24 the RCMP in Alberta escorted Minister of Justice and Solicitor General, Kathleen Ganley, and President of the Cochrane Foothills Protective Association, Rosemary Lindsay, on a tour of the RCMP Airdrie Detachment for a rare behind-the-scenes look at its specialized Crime Reduction Unit (CRU). The Southern Alberta District CRU is one of four district teams that operate across the province. The establishment of these specialized units are the cornerstone of the Alberta RCMP’s Crime Reduction Strategy launched late last year. The strategy is an intelligence-driven policing approach that enables officers to identify repeat offenders, conduct targeted enforcement initiatives and, through collaborative relationships with community partners and public agencies, addresses the root causes of criminal behaviour. Although the Southern Alberta District CRU has only been operational since February 6, 2018, it has already seen some early successes. 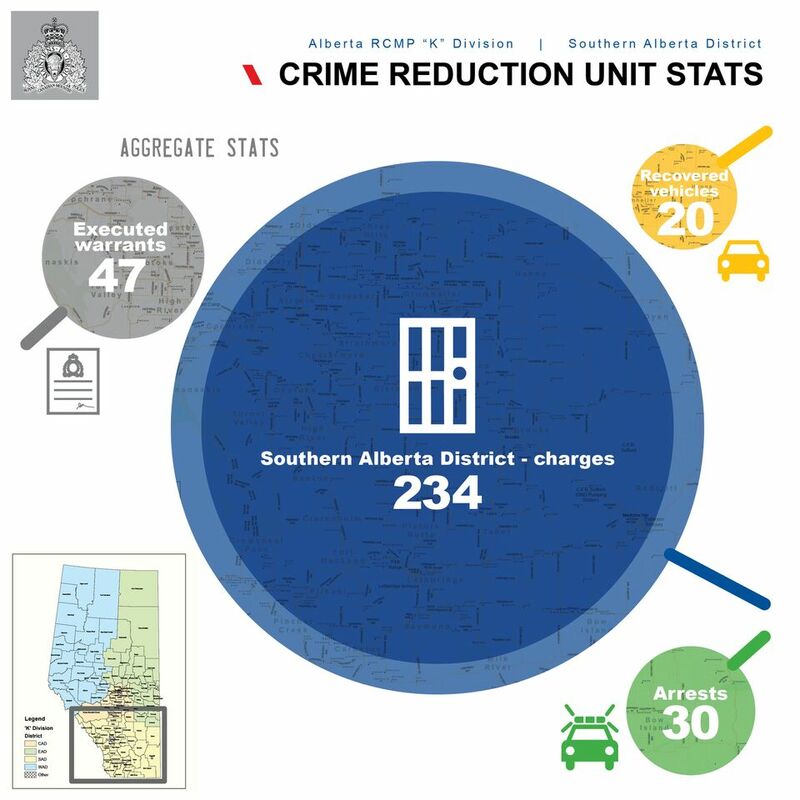 Since then, the Southern Alberta District CRU has made 30 arrests and laid a total of 234 charges. The unit has also recovered valuable stolen property including a tractor and a truck worth a combined $235,000. Their diligent work has already made a significant impact in the region. From January to April, there has been an 8 per cent year-over-year decrease in property crime in Southern Alberta. During the tour, CRU team members were available to speak about the realities behind those numbers and share their experiences working in this specialized unit. A Criminal Intelligence Analyst was also on hand to speak about the important work she carries out daily: identifying patterns of criminal activity that guide officers to crime hotspots and repeat offenders. 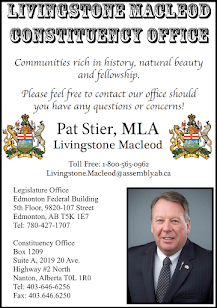 The $10 million investment from the Government of Alberta and the joint seven-point strategy announced in March has enabled the Alberta RCMP to fully establish district-level CRUs. District CRUs are a key element of the recently announced strategy. They conduct target initiatives across the province and provide support to their respective local detachments. The units are made up of seasoned officers, crime analysts and civilian staff, recruited from across the country, who have the investigative and operational skills required to effectively implement the Alberta RCMP’s Crime Reduction Strategy.